I miss my owls. I miss making them for the little ones. I've just received all of my boxes And my watercolors are finally here. 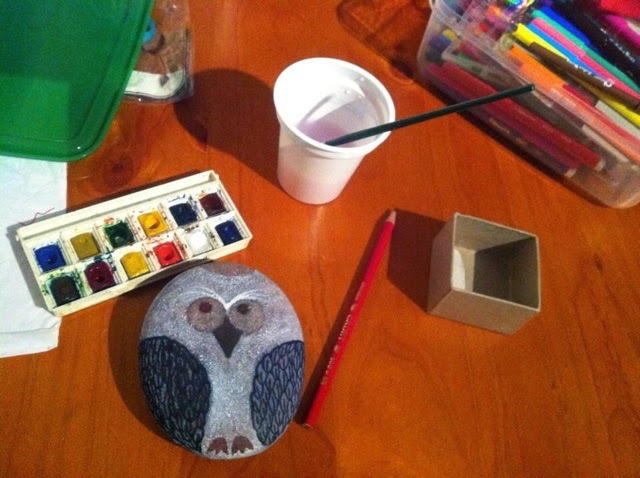 So here she is...My Snow Owl on a stone. 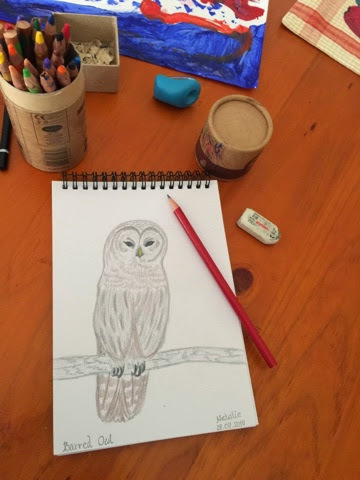 Danu's owl.